Home for Southern Cross Saddlery has custom made saddles in the following ranges: western saddles, stock saddles, halfbreed saddles, swinging fender saddles. All stock saddles for sale and western saddles for sale can be custom saddlet. Saddle orders can be placed online you can select from Half Breed Saddles , Western Saddles, Stock Saddles. Choose style,size, colour and accessories. 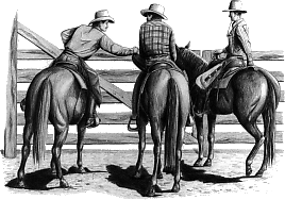 zipMoney is a great way to get your Western Saddle or you Half Breed Saddle now. Fitting a Saddle correctly is why Southern Cross Saddlery has custom made saddles and off the rack saddles in the following ranges which are western saddles, stock saddles, halfbreed saddles, swinging fender saddles. All stock saddles for sale and western saddles for sale can be made to meet your specific custom saddle requirement. Western Saddles can be customized with silver saddle trim to trull make your western saddle stand out from the crowd. Leather Stamp Designs can add that special touch to your saddle. Add the custom silver trim set and you have your very own personalised saddle. Southern Cross Saddlery has custom made saddles and off the rack saddles in the following ranges which are western saddles, stock saddles, halfbreed saddles, swinging fender saddles. All stock saddles for sale and western saddles for sale can be made to meet your specific custom saddle requirement. Bridles Halters Reins are available at Southern Cross Saddlery. They also have custom made saddles and off the rack saddles in the following ranges which are western saddles, stock saddles, halfbreed saddles, swinging fender saddles. All stock saddles for sale and western saddles for sale can be made to meet your specific custom saddle requirement. Second Hand Saddles or Used Saddles are also available from Southern Cross Saddlery as approved pre loved saddles. These used saddles have been check and approved for sale to customers looking for a second hand saddle to suit their needs. There is usually a good range of used saddles available from the factory. Order Success Your order has been completed successfully.